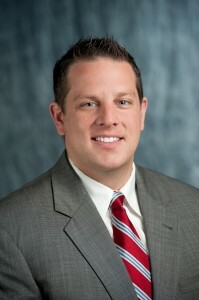 Chris Beardslee is a 2003 graduate of Michigan State University, with a Bachelor’s degree in Finance. With 13 year’s experience as an account executive, Chris has a proven track record of dedication and commitment to excellence. Chris takes great pride in working with business owners to develop a strategic plan that will allow them to achieve their risk management objectives. When Chris is not working he enjoys spending quality time with his Bernese mountain dog, Wife, and two sons. He also takes part in many sporting activities, such as kickball, bowling and golf; along with recreational activities like jogging and biking. During his college career, Chris worked with the Michigan State University football team earning a varsity letter and creating a diehard Spartan Fan. Chris has developed programs for the Golf Course, Senior Care, Commercial Cleaning and Restaurant Industries. Additionally, Chris has partnered with Paul Kosmal to roll out a national Brewery, Distillery and Winery program. Having a solid understanding of these highly specialized industries has made Chris uniquely qualified to help his clients develop risk management programs that are customized specifically to their business needs. As a current member of the Michigan Golf Course Owners Association, The Michigan Brewers Guild and The Michigan Restaurant Association he is one of only a few vendors approved to represent some very unique Self-Insured workers compensation programs for these industries. Chris has attained the Designation of Certified Insurance Counselor (CIC) and Licensed Insurance Counselor (LIC). See our blog post Allied Insurance Managers Employee Receives Rare Insurance Designation for more information on this honor.